It sure is nice to step out on the deck and have that morning cup of coffee. 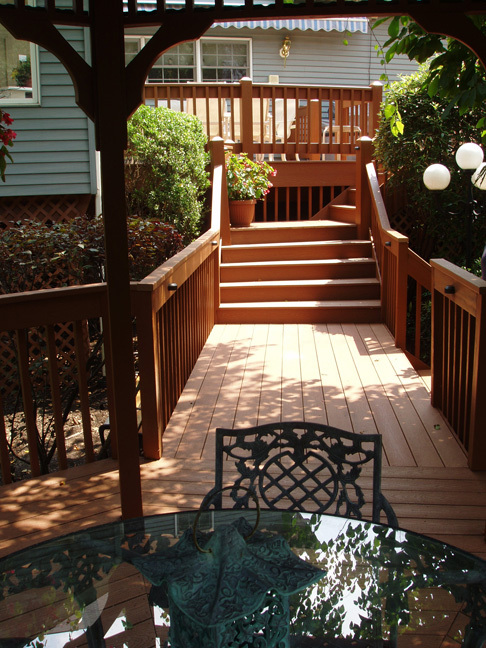 Adding a deck to your home is one of the least intrusive improvements one can make as it seldom interferes with your daily life when the project is begun. 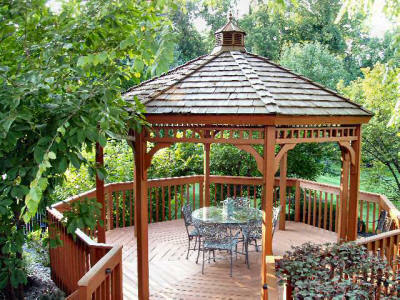 Still, there are many things to consider before getting started and with our FREE consultation and personalized deck design we will review all your options so we can best meet your needs. 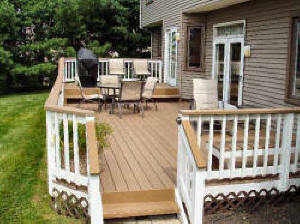 Once we have determined the size and location of the deck your next question might be what material to use. 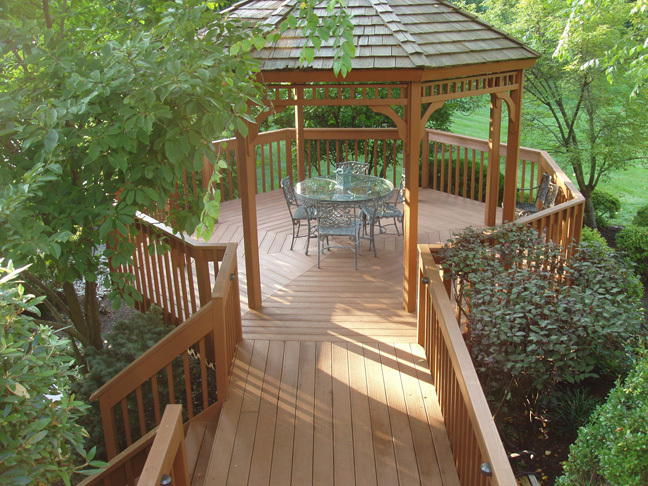 We at Northampton have installed many decks in a wide variety of woods over the years and though they have been sound and have held up through the test of time very well, there has been the issue of maintenance. With natural wood decks you will have to apply treatments on a regular basis to retain both the esthetic as well as the functional integrity of the product. Over time, UV rays, or extreme temperature changes, or damaging insects and animals will take their toll on the wood. In recent years, we have been building decks with composite materials that have proven to need far less special maintenance over time. They are often times developed with recycled plastic material and sawdust so they offer some environmental consideration as well. 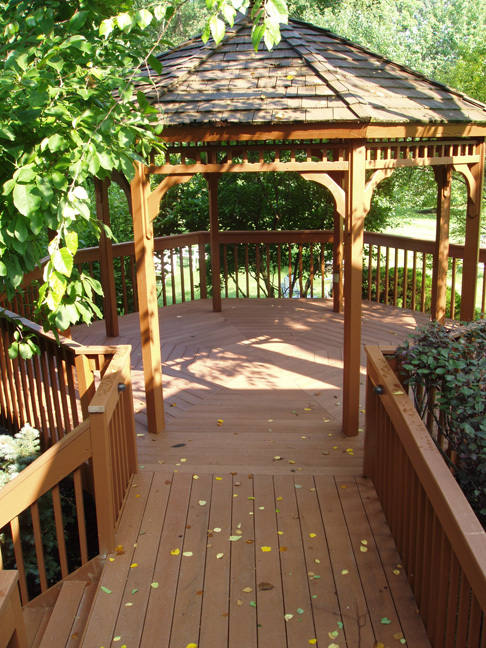 The manufacturers of these composite decks provide all the materials necessary for a seamless installation with hidden fasteners, matching railing, and even deck lighting for a clean professional look. 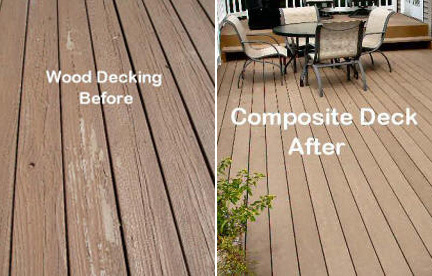 Composite decks give you the wood look with low maintenance and offer a slip and scratch resistant pet friendly surface that is often times warrantied as long as 20 years against warping, fading, and other concerns. 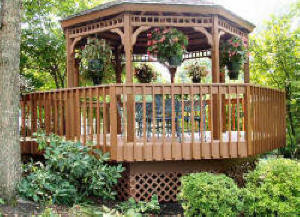 We at Northampton feel it is important to bring all the facets of deck construction and maintenance to your attention before you make your final decision on design, materials, and budget so please take advantage of our FREE consultation and design by calling us at (215) 766-2200 or e-mailing us to make an appointment today.